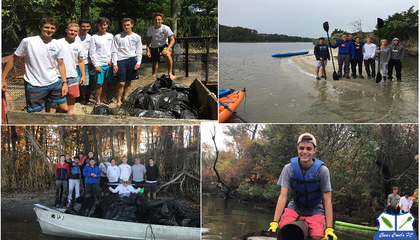 The Global Co Lab Network is working with the Smithsonian Conservation Commons to connect youth worldwide to fight against plastic pollution. 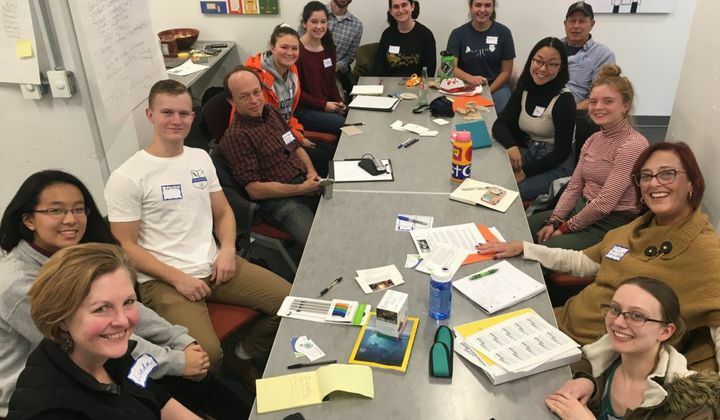 The two organizations teamed up with the Plastic Pollution Coalition to host a Co Lab Design Salon focused on building a network of teens locally and globally to fight plastic pollution. This was the first of a series of Co Lab Design Salons that will focus on building eco-teen networks. At this Salon 15 passionate youth and adult activists met to start planning a virtual Dream Hub where teens globally will fight plastic pollution. Plastic pollution is a disease plaguing our world and most people globally don’t realize how much plastic is hurting so many elements of our lives. When plastics are released into the environment they begin to break down, become smaller, more toxic and harder to retrieve. The average person consumes 70,000 micro-plastics each year. It is imperative that we decrease our usage now. Young people are the best ones to make change happen because we have our entire lives ahead of us, giving us plenty of time to fix the world’s biggest problems. The Global Co Lab and Smithsonian Conservation Commons are giving teens the tools they need to be effective change-makers. Young activists often face difficulties due to isolation. The Co Lab’s Salons and Dream Hubs are just the way to overcome such obstacles and empower youth. The Plastic Pollution Dream Hub will be a scheduled virtual chat room where youth globally can share their experiences, ask questions, and most importantly develop lasting partnerships to work towards ending plastic pollution. Look forward to hearing about our Plastic Dream Hub to address United Nation’s Sustainable Development Goal #12, Responsible Production and Consumption, in mid January! If you want more info or want to engage, contact the Co Lab at info@globalcolab.net.